Home / Adviart Blog / Follow your passion. Follow your passion. This adviarter picked this shell because it had a shiny surface that would enable the colors and drawing to stand out. This adviart symbolizes a multicultural perspective. The colors bring out this multicultural perspective. The advice from the adviarter was to encourage people to do what makes them happy no matter what others say. This advice is depicted in a drawing format–no words are used. The question marks at the ends of the symbolize the people that might provide you with feedback that challenges your reasons for pursuing a certain passion. 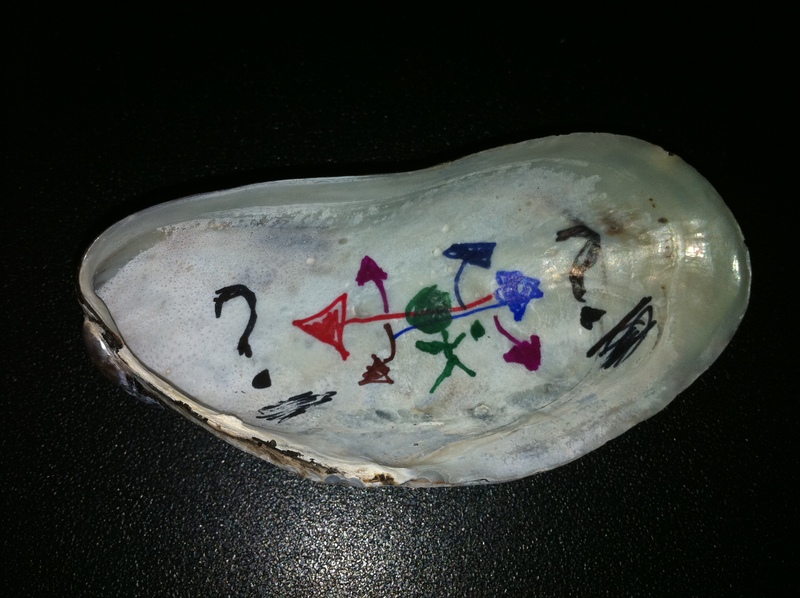 The person in the center of the shell has options in the direction to take that are depicted by the various colors. Each choice will always have others guessing to understand the reasoning. I have a hard time linking this shell to multiculturalism but it does speak loudly to me from a perspective of having many opportunities on the table and making choices that others push back on routinely. No matter what decisions we make, there will be people who do not agree with them. There will also be people who agree with them. I see the purpose of the shell to note that by knowing self and following what we think is best, we end up in the best situation. How do we deal with the questions at the spectrum–what is our choice on how to deal with them when faced with the questions? How can we ensure that we are evaluating the options consistently that align with our passion and what makes us happy?